AUTOCHECK CERTIFIED ACCIDENT FREE ONE OWNER! WOW! ONLY 12900 MILES. 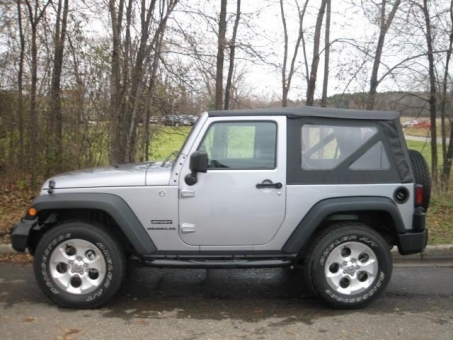 IN ANY SEASON YOU CAN'T DO ANYTHING BUT HAVE FUN IN THIS WRANGLER! FULLY COVERED BY JEEP BUMPER TO BUMPER FACTORY WARRANTY. LIKE BRAND NEW INSIDE AND OUT. MECHANICALLY INSPECTED AND FULLY SERVICED.